Getting Stoked for a Two-Wheeled Odyssey - What Becomes of the Lionhearted? 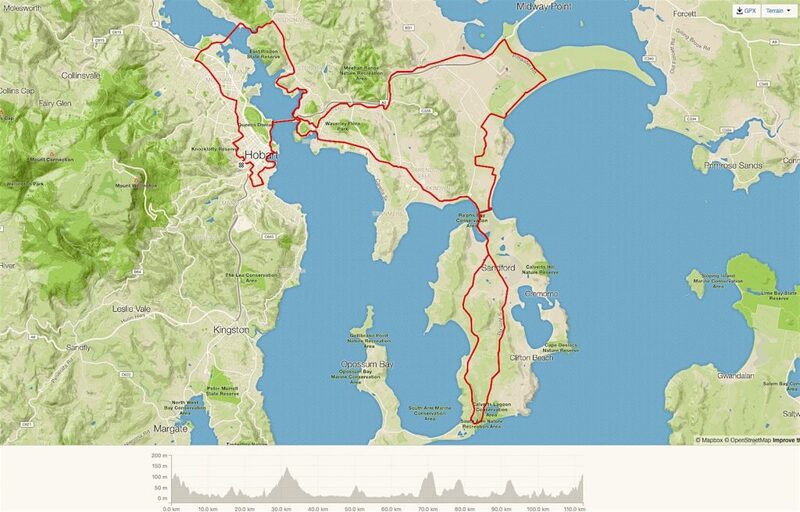 It’s just over two weeks until Dianne and I fly out of Hobart to begin our big Lionhearted adventure with Bike Odyssey. We are so looking forward to Lionheart! Once we decided to commit to the tour we looked at how we might go about preparing for it. 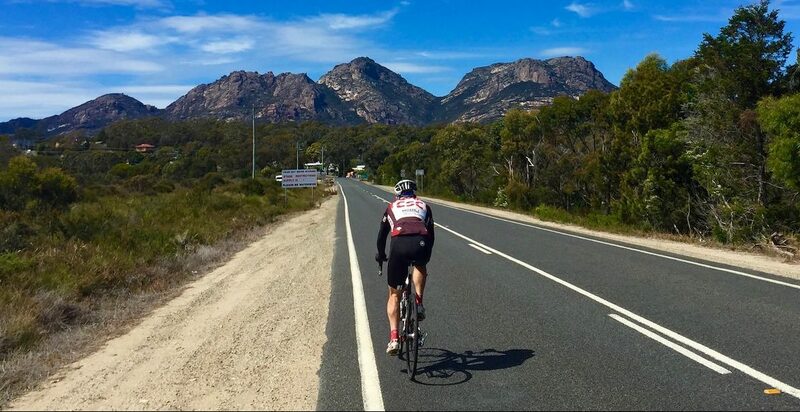 Riding our bikes is the obvious answer, with a bit of hilly stuff inserted to make sure we can cope with the Dolomites and the Austrian Alps. We also pondered how to best acclimatise and try to ensure that we won’t be sick when the tour starts. A couple of weeks in Italy before we rendezvous with Sam and his sidekicks seemed like just the ticket, so that’s what we’re doing. 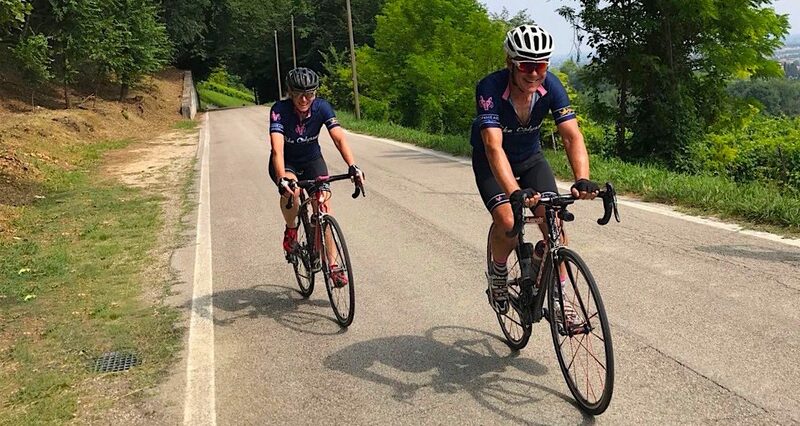 A week of regular, bumpy riding in the foothills of the Dolomites – as long as we aren’t hampered by colds – followed by another week of extreme tapering on the plains south of Venice is what we’ve got scheduled. 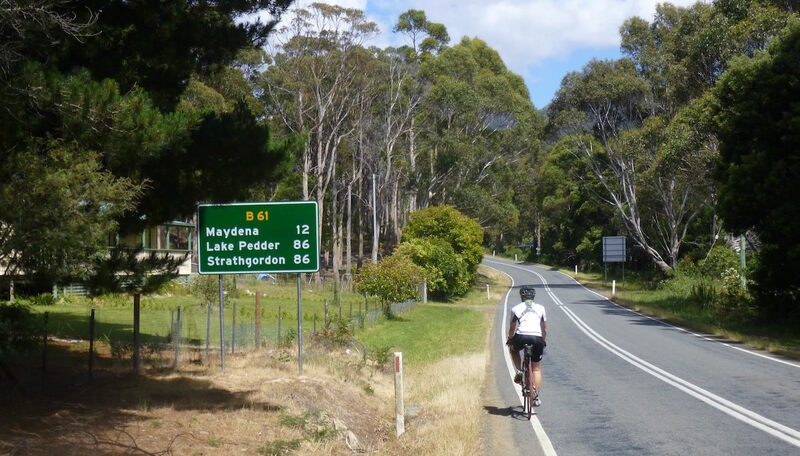 Not easy to see, but the distance is 109 kms; with 1284 metres of elevation. 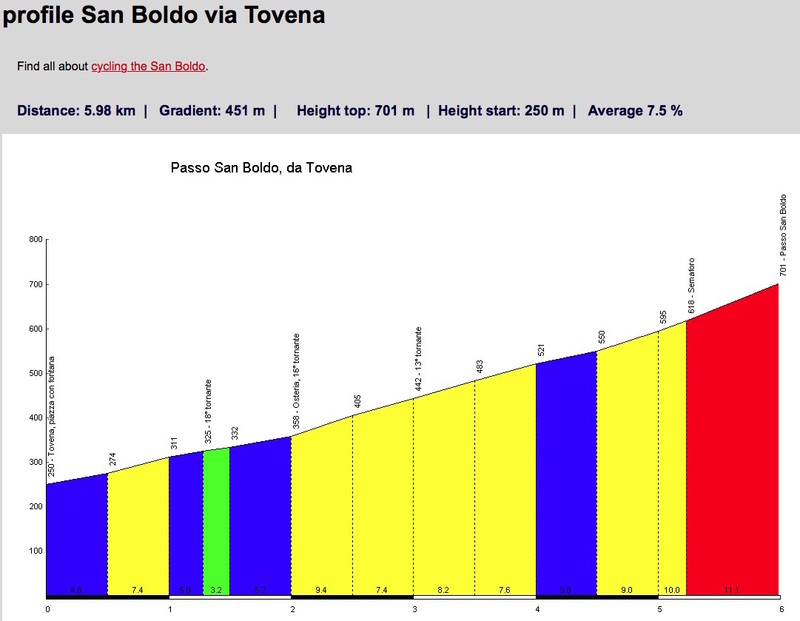 I am sure you can guess where the descent of San Boldo is along the route! 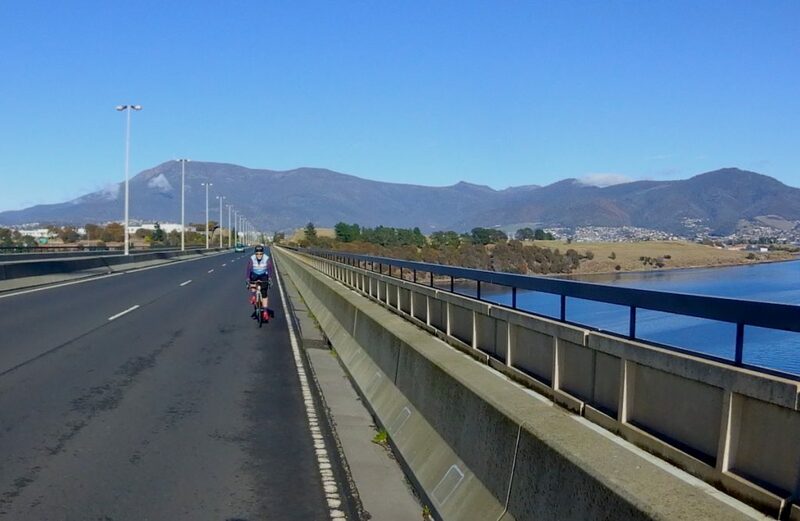 After some disruptions due to visiting grandkids in Cairns and scouting with Sam for Tasmania – UnderDownunder, we’ve had a good week of riding our bikes thanks in no small part to a smashing sequence of gorgeous autumn weather. Couldn’t really call it training as we just aren’t that disciplined or systematic: basically – like Cyndi – we just want to have fun. Bring it on! 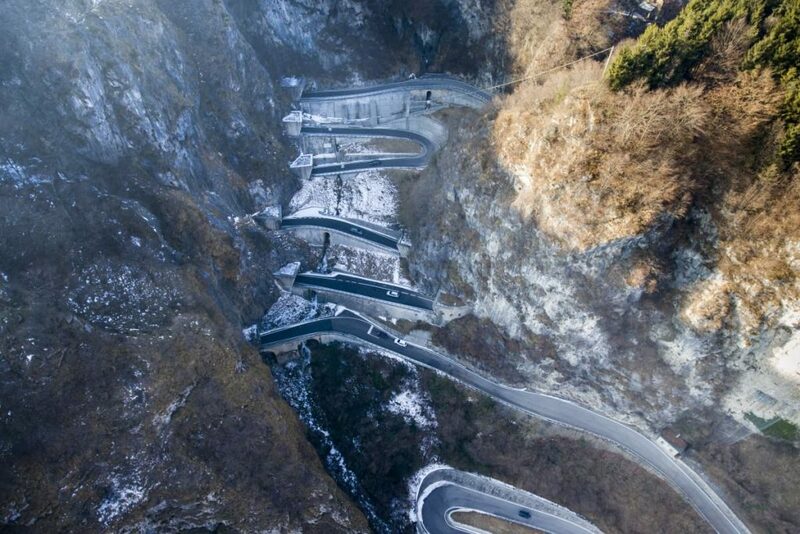 Oh, and a final bon-bon for lovers of thrilling descents. (Apologies in advance for the music: you might want to have your speakers turned down.) I definitely won’t be descending as fast as this guy suggests he’s going, but does this look like fun or what! Hi Bill. Do you mean on the Passo San Boldo or the whole route in general? From looking at several videos of the cycling on the pass, I’d assume that everyone is pretty used to people cycling there. As far as the route in general is concerned, it seems that people in Europe generally are very used to and accepting of cyclists on the road. I might get Sam to answer as well as he has done so much there. Wondering how’s the riding surface, room for cycling and local attitude toward cyclists and general safety on the road? Hi Bill, Sam here I’ll be running the Venice to Paris tour. Firstly thanks for reading Doug’s blog, he does write a good story! As for local attitude, it is generally excellent. 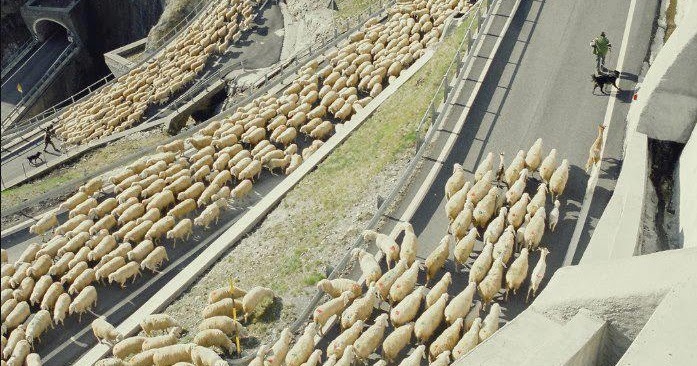 The Dolomites are full of cyclists and everyone is used to them so riding there is always a pleasure and the volume of traffic on the roads we choose is always low. This is one of our focus when setting up trips to ensure we are on the quietest roads possible. Europe in general is just a much more pleasant place to ride. It is normal for cars to sit behind you on mountain passes waiting sometimes 5-10 minutes for a sensible place to pass! 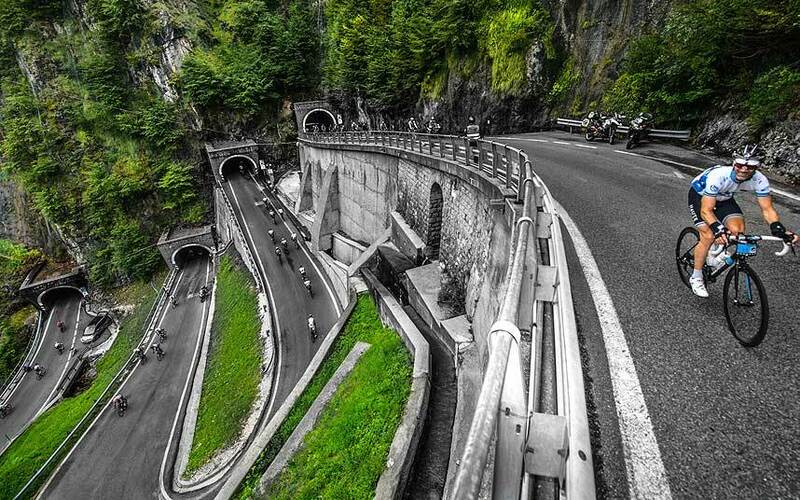 As for the road surface, Italy is not known for having great road surfaces but the Dolomites is certainly one of the better regions. What they lack in perfect surface is made up for in the quiet roads we get to ride on. I hope that helps Bill, if you’d like more information please let me know and I can send through the tour itinerary.